Step 1: Sand the floor to the point that you have reached bare wood using a floor sanding machine and an edge sander. You can rent both of these handy tools from your local home improvement store. Make sure to vacuum between each of your sanding runs, as this will assure a more even sanded surface. Step 2: After you are finished and happy with the sanded surface, wipe the dust left over from the floor, using a mineral spirits to dampen the cotton cloth. Step 3: With a 4 inch paintbrush start at the edges of the room and apply a base coat of sealer. Step 4: Now, you will need to use a synthetic floor finishing applicator to spread the base coat sealant filling in the middle of the room’s floor surface. This will need to dry for two hours. Step 5: Using a new paintbrush and synthetic applicator apply a top coat of water-based polyurethane on the floor. Step 6: It will also require a two hour minimum to dry and after this is done, apply another coat. Step 7: After that second coat is dried, yes you guessed it you will need to apply a final coat of polyurethane and allow to dry. That was pretty simple huh, well not so fast! This is a very light explanation, the real things that you will need to know are the tips to doing these steps as flawlessly as possible. So how about some tips and strategies to making it look less like a DIY project and more like a professional hardwood floor refinishing job. · Prep – This is more important than anything else when it comes to refinishing your hardwood floor. In order to sand your hardwood floor properly you need to make sure that the floor is spotless. Sweep, Vacuum, and I would even recommend mopping the area with a damp mop to remove any residues before beginning. Of course you will want the floor completely dry before sanding. · Sanding is Messy – There are some very important steps before you start sanding that will save you a ton of whole home clean up later. Start by closing all furnace fans, windows and doors. If you have open doorways hang a wet sheet in it to prevent the dust from getting into other areas of the home. · Go with the Professional Tools – I would strongly suggest that you do not try to do this job with a hand sander. What may seem like a better solution at the time will turn into a literal back ache later. Plus it will add hours to you task. So when you rent it ask for what the professionals use. Also wear a mask, your lungs will thank you later. Often times we forget about our own safety but this is not a time to do so. · Coat lightly! – Many times first time refinishers tend to lay the poly on thick when it is time to coat the floor. I can’t stress enough how much this can mess up your floors. Not to mention, make the tint of your hardwood floor much darker than originally intended. It is better to have to add another coat that to wait a week to sand it all down again and start over. · Take your Time – Great things come to those who are patient, and when it comes to hardwood floor refinishing there is simply no way that you can rush through it. Rushed work equals many mistakes, and mistakes and refinishing jobs don’t go well together. Slow down and if you are feeling like it is going incredibly slow, take a break and relax, this will recharge you and you will get back in the swing of it in no time. 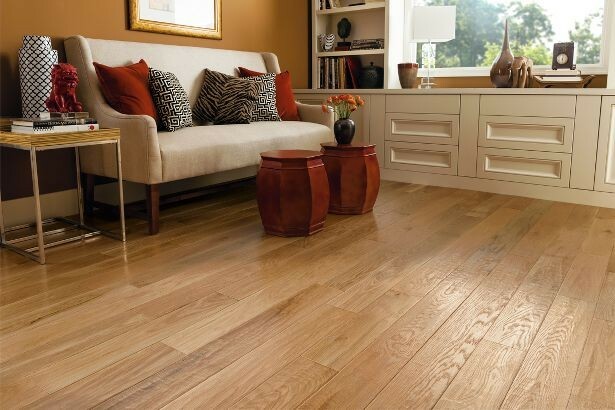 Remember that expression “Rome wasn’t built in a day,” well the same applies to your hardwood floors.